Both pain and pain-related dysfunction were assessed by numeric rating scales, and grouped as: (0) none, (1–3) mild, (4–6) moderate, (7–10) severe. Questions were asked about the use of substances to treat pain. Among 589 participants, chronic pain was reported by 87 % (95 % CI: 84–90 %), with 13 % mild, 24 % moderate and 50 % severe. Pain-related dysfunction was reported by 74 % (95 % CI: 70–78 %), with 15 % mild, 23 % moderate, and 36 % severe. Of the 576 that used illicit drugs (i.e., marijuana, cocaine, and/or heroin), 51 % reported using to treat pain (95 % CI: 47–55 % ). Of the 121 with prescription drug misuse, 81 % (95 % CI: 74–88 %) used to treat pain. Of the 265 participants who reported any heavy drinking in the past 3 months, 38 % (95 % CI: 32–44 %) did so to treat pain compared to 79 % (95 % CI: 68–90 %) of the 57 high-risk alcohol users. A comment to this article is available at http://dx.doi.org/10.1007/s11606-016-3621-6. It is estimated that chronic pain currently affects approximately 100 million people in the US, and is one of the most common reasons patients seek medical care.1 Chronic pain is particularly common among those with drug use disorders. One survey reported that 52 % of treatment-seeking, opioid dependent veterans complained of moderate to severe chronic pain.2 Cross-sectional surveys3 – 5 among patients treated with medication assisted treatment (methadone, buprenorphine) report a prevalence of chronic pain ranging from 36 % to 61 %. The purpose of this study is to describe the prevalence of chronic pain and pain-related dysfunction among primary care patients who screen positive for drug use. In addition, we examine the prevalence of alcohol and illicit drug use and prescription drug misuse for the purpose of self-medicating chronic pain in this population. This is a cross-sectional analysis of subjects enrolled in the Assessing Screening Plus brief Intervention’s Resulting Efficacy to stop drug use (ASPIRE) study (NCT00876941, see www.clinicaltrials.gov), a randomized trial assessing the efficacy of brief intervention for subjects who screened positive for illicit drug use and prescription drug misuse over the prior 3 months, in primary care. This study was approved by the Boston University Medical Center Institutional Review Board. Study participants were recruited and enrolled from June 2009 through January 2012, from an urban, hospital-based primary care practice. Inclusion criteria were the following: (1) age 18 years or older; (2) arrived for a visit with a primary care clinician; (3) drug-specific involvement score ≥ 2 based on self-report responses to the Alcohol, Smoking and Substance Involvement Screening Test (ASSIST)16 (a minimum score of 2 means drug use once or twice in the last 3 months). Exclusion criteria were the following: (1) inability to provide contact information for two persons (to facilitate follow-up); (2) inability to interview and consent in English; (3) unwilling or unable to participate in follow-up research interviews; (4) pregnancy (self-report); (5) brief intervention by a clinical Screening, Brief Intervention and Referral to Treatment (SBIRT) program in past 3 months; (6) participation in on-site office-based opioid treatment program. Trained research associates conducted in-person structured interviews with all participants. They assessed both chronic pain and pain-related dysfunction using questions derived from the validated Graded Chronic Pain Scale17 , 18 (“in the past 3 months, on average, how intense was your pain rated on a 0 to 10 scale where 0 is no pain and 10 is pain as bad as could be” and “in the past 3 months, how much has pain interfered with your daily activities rated on a 0 to 10 scale, where 0 is no interference and 10 is unable to carry on any activities”). They also asked four questions about the use of substances to treat pain (“in the past 3 months have you used any of the following to treat your pain or discomfort - (1) alcohol, (2) drugs such as marijuana, heroin, cocaine, (3) prescription drugs without a doctor’s prescription, and (4) prescription drugs used in greater amounts than prescribed”). Other assessments and variables for this analysis included demographics (age, gender, race/ethnicity, homelessness in past 3 months, current employment and years of education), substance use using the Alcohol Use Disorders Identification Test-Consumption (AUDIT-C)19 for alcohol with scores ranging from 0-12, with ≥ 3 for women and ≥ 4 for men suggesting unhealthy alcohol use and ≥ 10 suggesting alcohol dependence, the ASSIST16 for alcohol and drug use risk with substance-specific scores ranging from 0 to 39, with a higher score meaning riskier use or greater severity (drug: low-moderate risk 2–26, high risk ≥ 27; alcohol low risk 0–10, moderate risk 11–26, high risk ≥ 27), the participant’s main drug (“which substance used in the past month concerns you most”), use of more than one drug in the past 3 months, misuse of prescriptions drugs in the past 3 months, injection drug use and health status using a 100-point visual analog scale (EuroQol)20 ranging from “worst” to “best” imaginable health status, depressive symptoms using the Patient Health Questionnaire (PHQ-9),21 anxiety symptoms using the Overall Anxiety Severity and Impairment Scale (OASIS),22 health care utilization (hospital, emergency department/urgent care visit past 3 months), social support (“are there people that you feel you could turn to if you were feeling bad and needed to talk to about something that was important to you”), and involvement in an automobile accident in the past 3 months. We defined four distinct categories from both the chronic pain and the pain interfering with daily activities (dysfunction) rating scales23: none (0), mild (1–3), moderate (4–6) and severe (7–10). Descriptive statistics were obtained for demographics, substance use variables, mental and physical health variables, and health care utilization for the overall sample, and stratified by chronic pain severity (i.e., no pain, mild, moderate, or severe pain). Bivariate associations were assessed using chi-square tests, Fisher’s exact tests, or ANOVA as appropriate. We estimated the prevalence of chronic pain, pain-related dysfunction and use of substances to treat pain along with their corresponding 95 % confidence intervals. Exact binomial confidence intervals were used in cases where np(1-p) < 5, where p is the observed sample proportion. Analyses were performed using SAS software (version 9.3; SAS Institute, Cary, NC). The cohort included 589 patients at an urban, academic medical center’s primary care practice who screened positive for drug use (illicit, prescriptions misuse) by scoring ≥ 2 on the ASSIST screening tool (for the main drug). During study enrollment (May 2009 – January 2012), 25,302 patients were screened for drug use as part of a clinical program in primary care, and 2,624 patients (10 %) were found positive for any drug use in the past 3 months. Of those, 1,018 were found eligible when research staff were available to enroll subjects for the original RCT study described by Saitz et al.7 with a total of 589 patients consented and enrolled; they were 32 % female, 70 % black, with a mean age of 41 years. Of the 589 participants, 87 % (95 % CI: 84–90 %) reported having any chronic pain, with 13 % mild, 24 % moderate and 50 % severe. Those with both high-risk drug use (ASSIST ≥ 27) and low- to moderate-risk drug use (ASSIST 2–26) had similarly high prevalence of severe pain, 45 % and 51 % respectively. 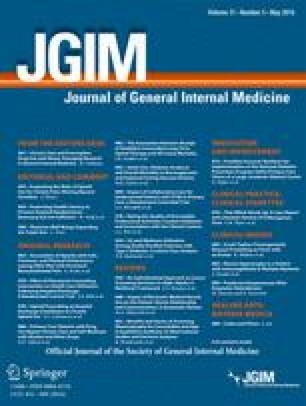 Descriptive statistics and bivariate analyses suggested that those with severe pain were older, more likely to be Hispanic ethnicity, less likely to have graduated from high school, more likely to be currently unemployed, had lower overall health status, more depressive and anxiety symptoms, were more likely to have a hospitalization and emergency department visit in the past 3 months, and were less likely to have used alcohol in the past year (Table 1). Pain-related dysfunction was reported by 74 % (95 % CI: 70–78 %) of participants with 15 % mild, 23 % moderate, and 36 % severe. Concurrent severe pain and severe dysfunction was found in 32 %. Of the 576 participants who reported any marijuana, cocaine or heroin use in the last 3 months, 51 % (95 % CI: 47–55 %) reported using one or more of these drugs to treat their pain. Of those that used only one drug, either marijuana (n = 341), cocaine (n = 43) or heroin (n = 7), 43 % (95 % CI: 38–49 %), 42 % (95 % CI: 27–57 %) and 71 % (95 % CI: 29–96 %) respectively, did so to treat their pain. Of the 121 participants who misused prescription drugs (i.e., opioids, sedatives, stimulants) 81 % (95 % CI: 74–88 %) misused the drug to treat their pain. Among these subjects, 69 % (95 % CI: 60–77 %) reported using without a prescription to treat pain and 32 % (95 % CI: 24–41 %) reported using more drug than prescribed to treat pain. Of the 265 participants who reported any heavy drinking in the past 3 months, 38 % (95 % CI: 32–44 %) did so to treat pain, compared to 79 % (95 % CI: 68–90 %) of the 57 participants who were considered to be high-risk drinkers (ASSIST ≥ 27) Among the 371 participants with unhealthy alcohol use in the past year (AUDIT-C score ≥ 3 for women and ≥ 4 for men), 35 % (95 % CI: 30–40 %) did so to treat pain, compared to 61 % (95 % CI: 52–70 %) of the 114 with likely alcohol dependence (AUDIT-C ≥ 10). While approximately one-third of the U.S. population24 and one-fifth of patients seeking primary care have chronic pain,25 87 % of our cohort of primary care patients who screened positive for drug use reported chronic pain. Almost half of these patients reported severe pain and approximately one-third reported both severe pain and severe pain-related dysfunction. Persons with addiction and pain have a “syndrome of pain facilitation,” where pain is worsened by withdrawal-related sympathetic nervous system arousal, sleep disturbances, and affective changes.26 While previous studies have shown that up to 60 % of patients with drug use disorders have chronic pain,3 , 4 our cohort found that patients with lower risk drug use (ASSIST < 27) had similar levels of pain as those with higher risk drug use (ASSIST ≥ 27). Individuals use substances for many reasons, including peer pressure, sensation seeking and self-medication of medical and psychiatric symptoms.33 In this study, it was common for patients to attribute their substance use to treating symptoms of pain. Over half of the cohort using illicit drugs, two-thirds misusing prescription drugs without a prescription, and one-third using their prescription in greater amounts than prescribed, reported doing so to treat pain. Among those with any recent heavy alcohol use, over one-third drank to treat their pain, compared to over three-quarters of those who met the criteria for current high-risk alcohol use. Using substances to self-medicate psychiatric symptoms has been described for decades. In addition, the association between substance use and chronic pain has been well described.34 , 35 Appreciating this association has important implications when addressing both the patient’s substance use as well as their pain. Studies35 , 36 have found that chronic pain was independently associated with relapse to substance use after detoxification, but not associated with worse office-based buprenorphine treatment outcomes.37 If drugs are being used to self-medicate pain, patients may be reluctant to decrease, stop or remain abstinent if their pain symptoms are not adequately managed. This issue of self-medicating pain is particularly relevant with the recent studies showing lack of efficacy of brief interventions to decrease drug use in primary care.38 Brief interventions, especially those performed by allied health staff, often focus on the association between substance use and negative health and life consequences39; they often do not address alternative approaches to treating symptoms such as chronic pain. Addressing pain symptoms is complicated for the most experienced physician and is outside the skill set of most allied health staff performing brief intervention counseling. Brief interventions focusing solely on the harmful effects of an illicit or misused drug may be ignored or disregarded if the patient perceives the drug as necessary to treat a symptom. This study has some important limitations. Since the cohort includes only patients at an urban, hospital-based primary care practice who screened positive for drug use in the past 3 months and were enrolled in a clinical trial, it may not be generalizable to the larger population of people who use drugs. This limitation in external validity likely applies more to the prevalence of drug use than it would apply to the prevalence of pain among those using drugs; we have no hypothesis about why that prevalence would differ in other populations. Furthermore, we included a wide spectrum of drug use, ranging from one day’s use in the last 3 months to multiple uses every day, including use of marijuana, cocaine, heroin and misuse of prescription drugs, and spanning the ASSIST risk scores from 2 (low risk of problems) to 27 or greater (likely to be substance use disorder). This gives the study the broadest applicability to all levels of drug use severity. As with any cross-sectional analysis, we analyzed data from one point in time and thus cannot assume causality; the purpose of the study was to describe prevalences of interest. Lastly, this was a secondary analysis and not the primary focus of the original study, and as such, pain data were collected using unidimensional numeric rating scales derived from the Graded Chronic Pain Scale.17 Had this been the primary question of the original study, we would have chosen a more comprehensive, multidimensional pain and functional assessment that would have further characterized pain symptoms. We believe that future studies should examine in greater detail, with prospective vision, the relationships that were observed in our findings. The high prevalence of chronic pain in patients who screen positive for drug use in primary care highlights the importance of assessing and managing chronic pain in this population. While there are many reasons why individuals use psychoactive substances, our finding of substance use in primary care patients to self-medicate pain has important implications for how brief counseling interventions are performed. To maximize the benefits of brief interventions in such patients, it is prudent to address the patient’s substance use and pain complaints concurrently. There is growing evidence that comanaging pain and opioid use disorders with behavioral treatments can be effective.40 It is in unclear if comanagement will improve the efficacy of brief counseling interventions for nontreatment-seeking patients, identified by universal screening in general healthcare settings, the majority of whom will have unhealthy substance use that does not meet criteria for a use disorder.41 However, it seems unlikely that individuals using substances to self-medicate pain, even if they have additional reasons for such use, will discontinue substance use if their pain symptoms are not adequately addressed with alternative approaches. Funders: The ASPIRE study was funded by an award from the National Institute on Drug Abuse (R01 DA025068), a portion of which was supported by the Center for Substance Abuse Treatment, SAMHSA. This study also received funding from SAMHSA (TI018311) through a Massachusetts Department of Public Health (MDPH) contract with Boston Medical Center (INTF2330M04W76112076). Additional funding was received from the National Center for Research Resources (UL1RR025771). Neither the National Institutes of Health (NIH) nor SAMHSA nor MDPH contributed to the design and conduct of the study; collection, management, analysis, and interpretation of the data; and preparation, review, or approval of the manuscript; and decision to submit the manuscript for publication. This paper has not been previously published or presented in abstract form. Substance Abuse and Mental Health Services Administration. Available at http://www.samhsa.gov/data/population-data-nsduh. Accessed December 15, 2015.